Big Bertha is an Estes original! She's an all around Estes favorite that has truly withstood the test of time. 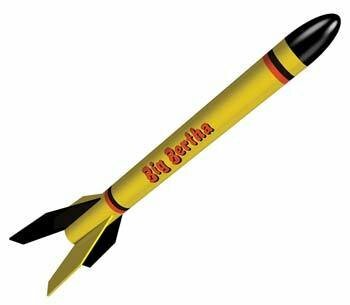 Over the decades, Big Bertha has been most modelers' first big build. 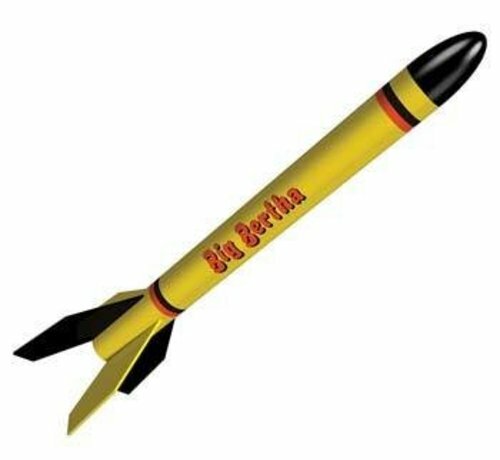 If you've never flown a Bertha, get one and launch it. Once you've flown it, you'll take it to every launch! The Big Bertha gives you a slow, realistic liftoff. What a thrill it is to watch! Propelled by powerful standard Estes engines, this beauty travels to 500 feet and comes back to earth with an 18 inch parachute. Quality Estes body tubes, laser cut wood fins, molded plastic nose cone and easy to apply waterslide decals make for an afternoon of building enjoyment.